Art and graphics have always played a pivotal role in branding, but now a new wave of illustrators are beginning to change the way companies approach their creative process – both in terms of design and external communication. Culture Trip highlights some such fashion illustrators below and explains why they are the ones to watch. Fashion and image have an indisputable, symbiotic relationship. However, with the evolution of Instagram, photography has become a far more diluted (and, subsequently, far less powerful) medium; overexposure to the same kinds of images coupled with a general apathy towards photography as an art form (now anyone can take or find a beautiful image through their phone) has meant that brands are looking elsewhere to cultivate an identity. In a recent report, Creative Review spoke to Refinery 29 about this trend. Refinery employs illustration as a means of offering a more diverse, nuanced and poetic take on the stories they publish. ‘Visual identity and creativity in storytelling is absolutely at the heart of every single idea – and through that collaboration, we’re able to do really innovative work,’ says Kate Ward, Senior Vice President and Head of International at Refinery. 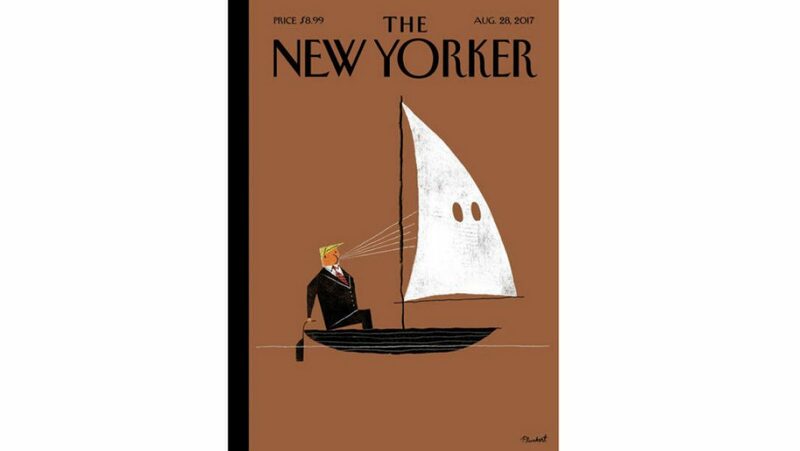 Magazines such as The New Yorker have long recognised the power of illustration and, in times of political strife, the ability to offer a precise, devastatingly apt image – such as the one of Donald Trump on their cover this week – is more powerful than ever. In a market saturated with identikit photographs, illustration offers a change from the status quo: an opportunity to create something visually fresh without the extravagant budget of high-end photo shoots. Nowhere is this change more evident than in fashion. While most fashion houses have been quick to adopt illustration and incorporate it into their work, methods have differed from brand to brand. Gucci, for example, has hired young, funny creative Angelica Hicks to work with them on a range of T-shirts, as well as asking Coco Capitán to create eye-catching murals as part of an advertising campaign. Other brands use illustration in more traditional ways. Claire Barrow imprints original imagery onto her clothing, imbuing each design with a distinct visual identity. Fashion powerhouse Hermès has sought to evolve the basic prints previously used for accessories into more complex, engaging images. During this era of fast fashion (when luxury designs can be replicated almost as soon as they step off catwalk), illustration ensures a one-of-a-kind trademark for the brand that can’t be reproduced. Parisian illustrator Ugo Gattoni is a long-term Hermès collaborator and created their Korean mascot, Mino. On top of that, Gattoni has worked on intricate and detailed illustrations for some Hermès silk scarves, including his Hippopolis version, as well as working for the brand on their exhibition at the Saatchi Gallery. Lotta Nieminen has worked for a host of major clients including Volkswagen and The New York Times. Nieminen has also worked with Hermès, creating a range of window displays for their East Coast stores. One of London’s most exciting young creators, Claire Barrow’s illustrations blend a dystopian, eerie aesthetic with a bright and distinct use of colour to create a unique design identity. An artist and fashion designer, Barrow has flawlessly blended the two mediums to create a cult following, as well as timeless, stand-out pieces. Working across print and fashion illustration, designer and artist Julie Verhoeven incorporates illustration into the heart of her own collection. However, her colourful, surreal drawings have also brought about many collaborations with brands such as Peter Jensen, H&M, Mulberry, Versace and Louis Vuitton. Pun-loving illustrator Angelica Hicks has made an art of marrying bright, cartoon-like drawings with cutting witticism. Her Instagram covers everything from Kim Kardashian to Adidas to Donald Trump’s armpits, and in April this year she published a book, Tongue in Chic: The Fabulous Fashion World of Angelica Hicks. Most recently her work attracted the attention of Gucci, who commissioned a series of 11 t-shirts for a capsule collection. London-based illustrator and animator Jo Ratcliffe has worked on campaigns for Sephora, Jimmy Choo, Louis Vuitton and Nike. Her fluid, bright style is playful and provocative, featuring powerful women in positions of strength. Ratcliffe is also creator of the ‘Femoji’ sticker app, for anyone looking to up their texting game. New York artist Kelly Beeman’s beautiful, Modigliani-esque portraits have featured in campaigns for Dior, Dries Van Noten, JW Anderson, Loewe and Mara Hoffman. Her bright, patterned and intricate works seamlessly marry fashion and art, placing clothes at the centre of the cultural conversation. Pepe Muñoz, Celine Dion’s current back up dancer, is also a fashion illustrator on the rise. Having only recently caught the attention of the fashion industry, Munoz is already collaborating with big names like Dior. Follow his Instagram for classic fashion sketches. A Gucci collaborator ahead of Angelica Hicks, Jayde Fish was one of the first illustrators to work with the brand, creating a Snapchat-inspired mural on display in New York City. Her pattern-centric work often features animals, and in addition to the mural, Gucci had previously commissioned a tarot card design from the artist.